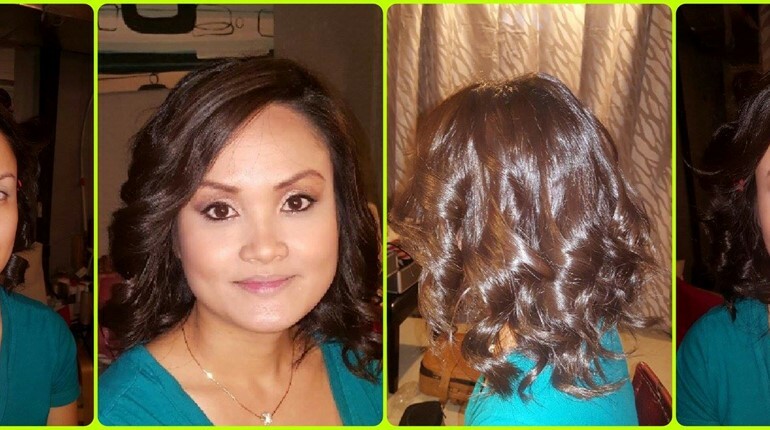 Mia Professional Hair Stylist & Makeup Artist near Milton, Canada. My name is Maria, I’m a professional makeup artist and hair stylist. My passion in life is to love people and help make your dreams a reality on your wedding day. I specialized in glamour wedding, special events and photo shoots makeup and hair styling. I’ve had an addiction to makeup for years, yes I said “addiction”. I’ve had a passion for makeup and the endless looks you can create with it. I’ve been helping friends and family for over 8 years, creating looks for everyday or special occasions. I had even been asked to do makeup for their weddings. I have had the opportunity to work with some fantastic people. Creating looks for a day with the girls, special events and bridal. I’m also teaching my clients how to create these looks on their own. Helping them to not be afraid of colours.